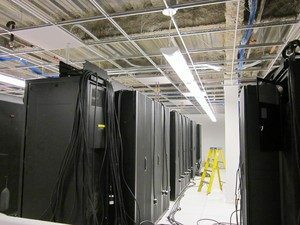 Home ▸ computer room relocation ▸ Is It Time To Decommission Your Data Center? Is It Time To Decommission Your Data Center? Data centers are extremely complex to manage, and the task of decommissioning a data center is far from trivial. Decisions must be made regarding which equipment, if any, can be reused in the new data center. Some of the equipment will need to be disposed of and/or destroyed, and some of the equipment may be resold. These tasks alone present their own set of unique challenges, and require significant amounts of time and labor to find an appropriate facility to decommission the equipment in question, and to transport the decommissioned equipment to that facility. The best way to simplify your decommissioning project is to enlist the help of a company having both the experience and expertise in managing the project for you. PTS can manage all aspects of your decommissioning project, having in-house experts in facilities, IT and cabling. PTS can professionally plan, disassemble, transport, dispose/recycle, and restore all your data center equipment. The service technicians at PTS have a long track record in both building and decommissioning data center equipment.